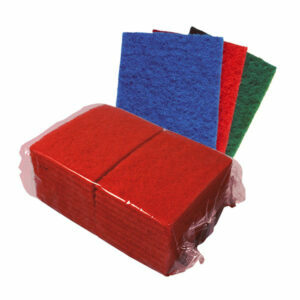 General purpose scouring pads for removing stubborn marks and burnt on food. 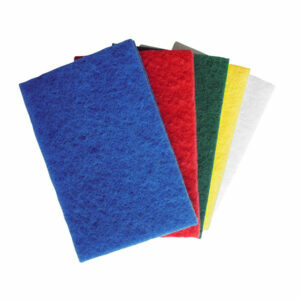 Our range of colour coded scouring pads are not only great for removing stubborn marks such as burnt on food and grease, but as they are also available in 5 colour choices to prevent the risk of cross contamination. These heavy duty, abrasive scourers are manufactured in the U.K.
Our standard grade scourers will remove stubborn marks such as burnt on food with ease. 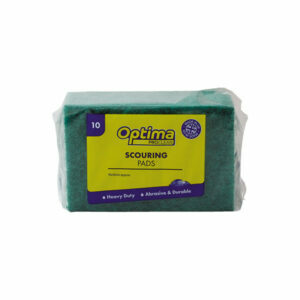 These heavy duty scourers are half sized and abrasive. Manufactured in the U.K and supplied in packs of 20 in plain film. 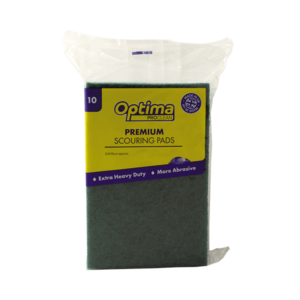 Optima Proclean Standard Scourers will remove stubborn marks such as burnt on food with ease. These are extra heavy duty and more abrasive than our standard scourers and are manufactured in the U.K. 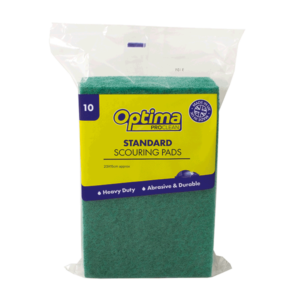 The Optima Proclean Standard Grade Scouring Pads remove stubborn marks such as burnt on food and with ease. Our abrasive scourers are manufactured in the U.K. 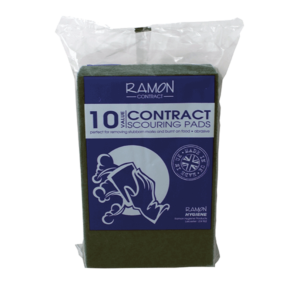 The 'Ramon Contract' fibre scourer is ideal for removing stubborn baked on food and grease from surfaces.